Designed by the president of Veronese, Fredie Jochimek, the Martha collection is a tribute to the history of Veronese. With the vision of a contemporary design, Fredie Jochimek pulled from the company archives the most overlooked glass elements of the classic Murano glass chandelier—the cup and bobeches. 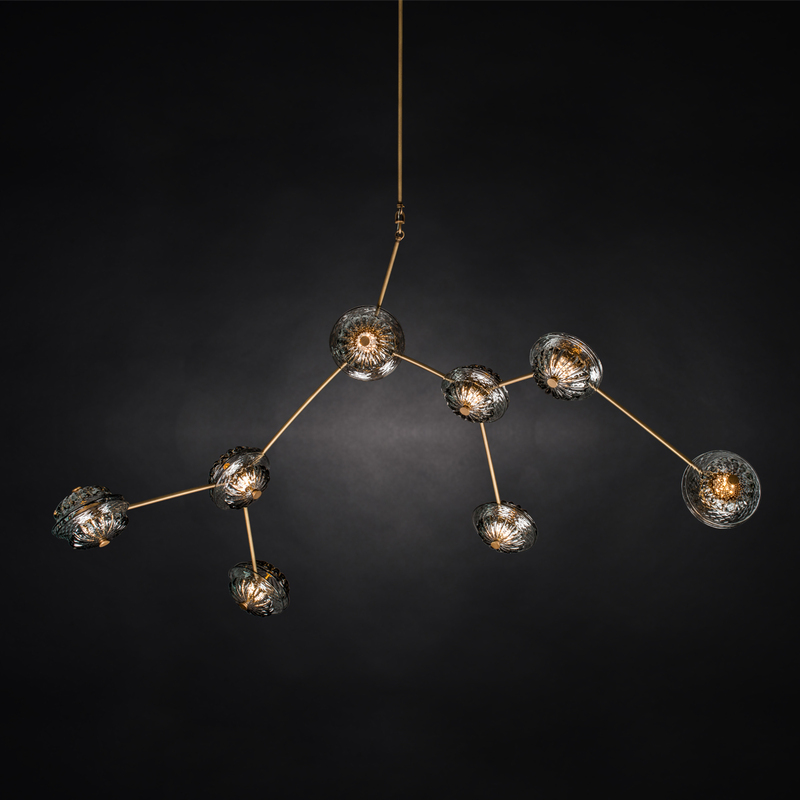 Traditionally, the cups were designed for the bottoms of chandeliers to cover the inner workings of the lighting design, while bobeches were designed to capture melting wax. 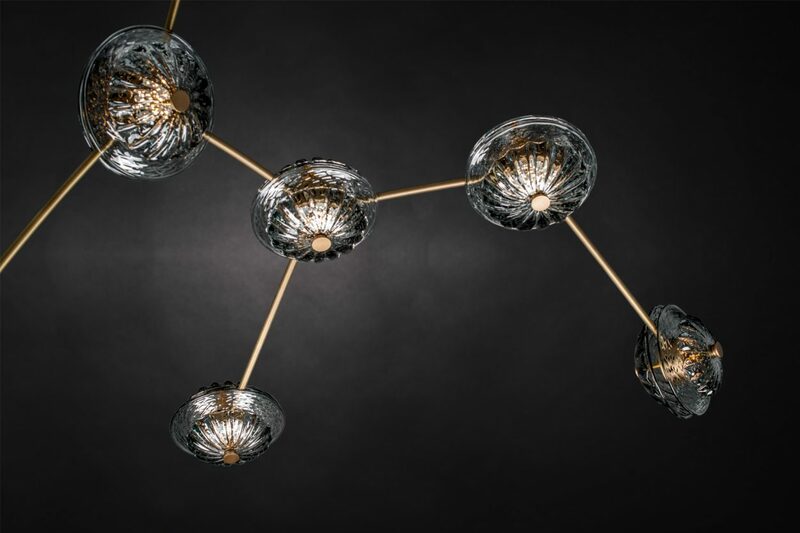 Fredie Jochimek boldly places these ornamental glass elements at the center of his collection. 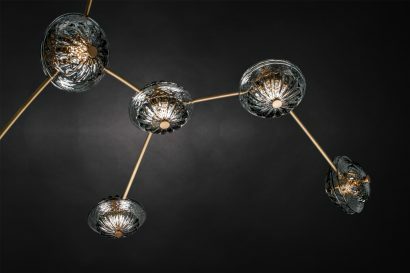 With these newly handmade classic Murano glass bobeches and cups, the designer created a contemporary modular lighting design that can evolve into various independent suspensions. Each modular design begins with an LED light source encased in a metal box from which metal extensions can be added at will in various directions. From this point, additional metal extensions can be endlessly added by connecting them to the glass elements. The bobeches and cups become the intersections and the points of light. 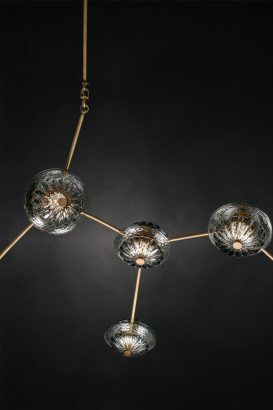 By combining a modern metal frame with a modular design and classic Murano glass elements, Fredie Jochimek connects the past with today.